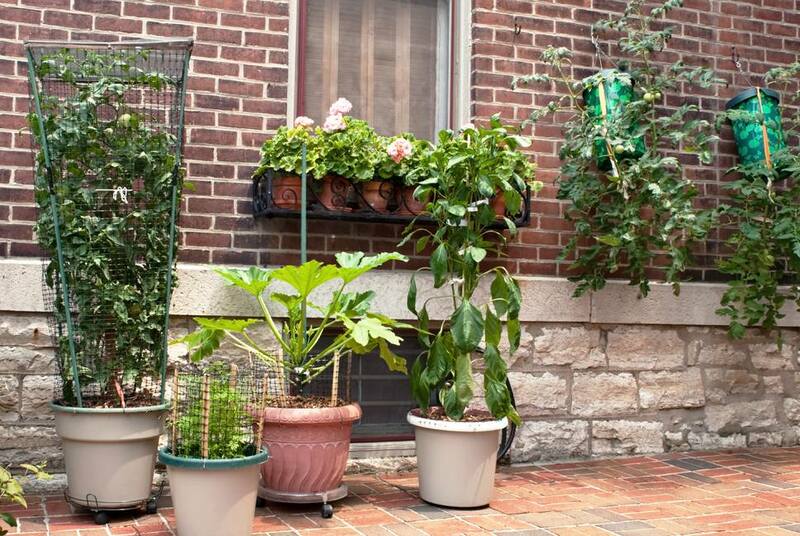 Most gardeners grow in containers, a hanging basket or a pot on a patio is container gardening. 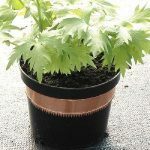 Indoor herb growing in containers is common as well but vegetable growing in containers is not so common. A mixture of decorative and edible plants growing in containers on a patio including cordon tomatoes, courgettes and peppers. Note the upside down tomato planters hanging on the walls. 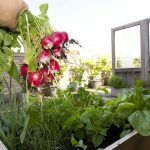 Yet if you don’t have enough space for a vegetable plot then vegetable and fruit container gardening is the way to enjoy your own fresh crops. Many of the champion show growers, those people with the fantastic leeks and onions actually grow in containers, admittedly large containers, but containers nonetheless. 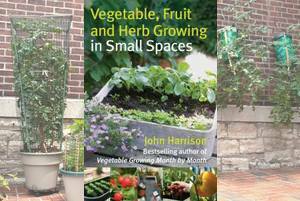 Container growing of tomatoes is usual, a grow bag is a container and so is a large pot. But you can grow nearly anything in a container. There are very few vegetables that you cannot grow in a container and you can even grow fruit in containers. 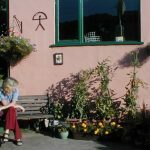 Growing figs in a container that can be brought into the greenhouse or conservatory so that they avoid winter frosts is usual and enables a crop even in northern areas where growing figs out of doors would not be realistic. 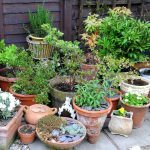 Growing citrus trees in containers offers the same benefits, they can come into the warmth when the weather turns cold. 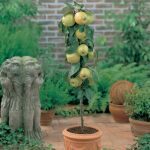 Minaret apple trees, where the fruit comes directly off the single stem, do very well in containers. They look well in a large decorative pot on the patio, and taste well too! Organic container growing is perfectly possible, although you will need to use fertilisers such as fish, blood and bone and dried blood to achieve good results. In fact, it is easier to garden organically in containers as it is easier to apply barrier methods to keep the pests away. You don’t need chemical sprays if the pests can’t get to your crop in the first place. Some crops do much better in containers than natural soil. Carrots love growing in deep containers as do potatoes. 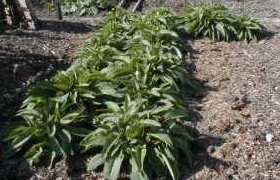 Salad crops, lettuce, rocket, spring onions and radish do well. 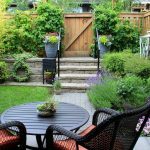 A few troughs on a patio can supply your needs right by the kitchen door. You can’t get fresher than that. Railway sleepers make for perfect gardening containers. 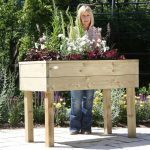 They can be cut to suit the size of your garden perfectly, providing both length and depth for your plants, vegetables or fruits. For a more rustic look to match your garden, there is also the option of using reclaimed sleepers. 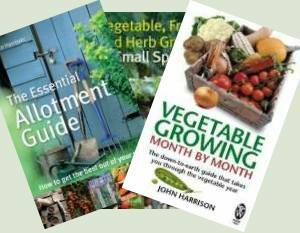 These articles should get you started growing a wide range of vegetables and salad crops even if you only have a balcony!